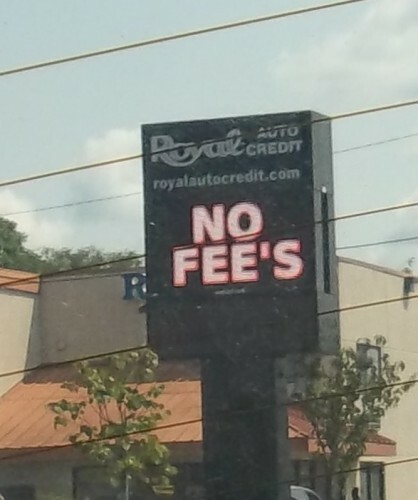 Is “Fee” a person? Does something belong to said person? Perhaps they were meaning to correct an idea about “Fee,” and then proceeded to fail on bringing it to the attention of the people. Maybe the writer just didn’t feel like putting an apostrophe, and/or he wanted to see how people would react. OR, maybe people just fail at their native language.